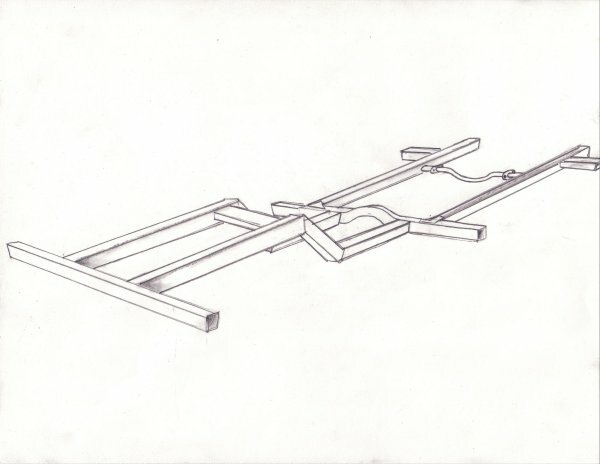 I have had many inquiries about the specifications on my frame work. I will be posting all frame measurements here. Plus additional information concerning The Chassis;. I'm not a draftsman so please bear with me on my illustration on this matter. 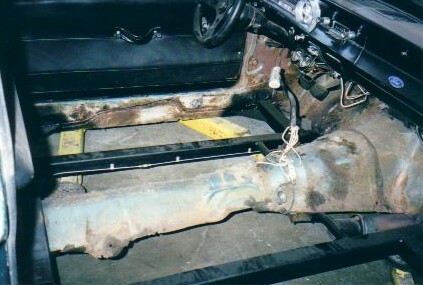 A: These ends all tie in to the rocker panels. 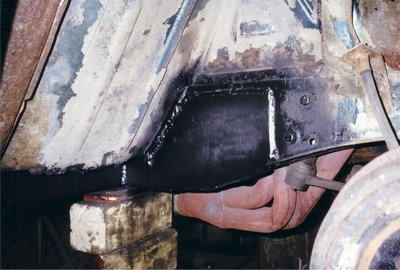 B: These two points are welded into the front frame section, and reinforced in place. Please remember these vehicles are of a unibody structure, and each vehicle has its different torque and body twist scars from over the years. So, these measurements may differ for your application. These are my measurements ONLY, they are not standard measurement for all '65 Rancheros. C: These ends both tie in to the original rear frame. These Measurements are within an 1/8 of an inch do to weld seams.